EV 1.5FT longer adapter cord. This 50Amp Electrical Vehicle Charging Adapter. 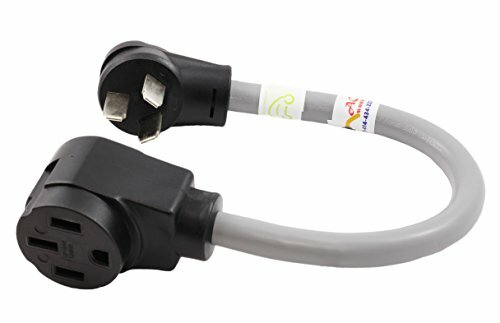 It gets power from NEMA 10-50R Dryer/ Welder Socket to charge EV-Tesla Car. it has 6/2+8/1 50Amp Copper wire with 300Volt Jacket. This Adapter works for Tesla Vehicle only.